Earn $3.20 in VIP credit (320 points)What's This? 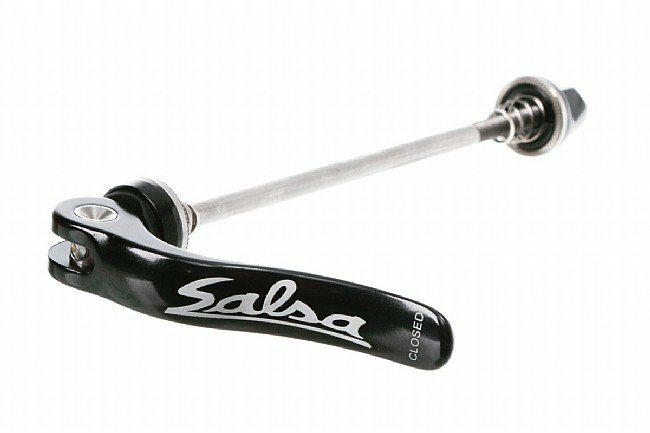 The Flip-Off Stainless Steel Skewer from Salsa is a lightweight quick-release skewer best suited for front or full-suspension use. The stainless steel rod provides durability while the smooth aluminum lever with a laser-etched logo exudes style. Fits 100mm front & 135mm rear hub spacing. All shafts are 5mm in diameter.